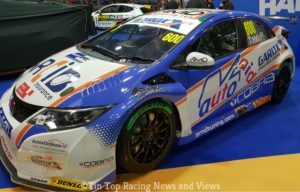 Cobra Sport AmD with AutoAid/RCIB Insurance Racing’s dramatically-liveried Honda Civic Type R made its first public appearance this morning at Autosport International ahead of the 2019 Kwik Fit British Touring Car Championship. 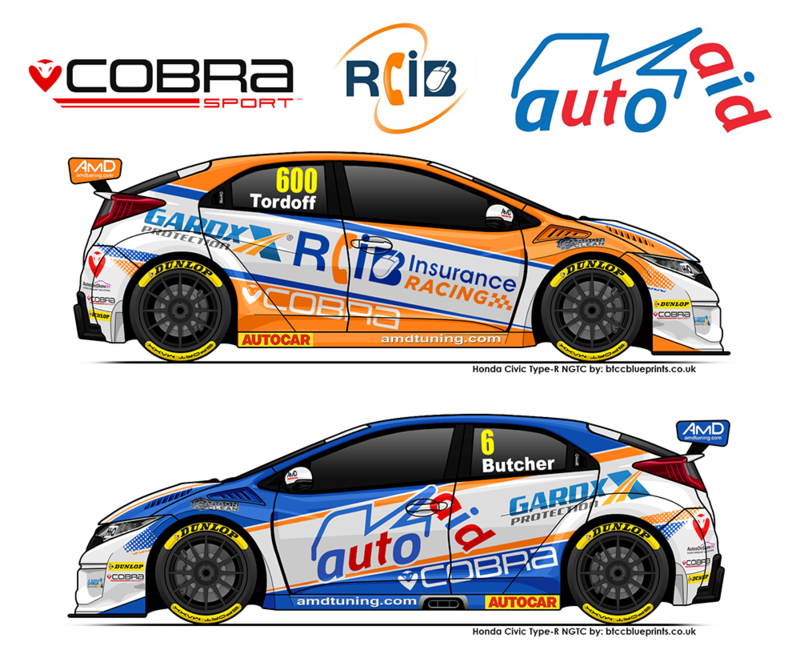 The team will run two of the FK2-spec Civics in the BTCC this season, with former championship runner-up Sam Tordoff being brought onboard to partner the returning Rory Butcher. Having previously released an artist’s impression of the Honda prior to Christmas, race fans have now been given the chance to see the new colour scheme in the flesh after the car was unveiled on the opening day of Autosport International in Birmingham. The Honda will be present at the show across the weekend before returning to AmD’s base in West Thurrock to allow preparations to continue ahead of the start of pre-season testing. That testing programme is due to begin in early March ahead of the season opener at Brands Hatch on the weekend of 6/7 April. “People might say I’m biased but I think the car looks great,” said Team Principal Shaun Hollamby. “The guys at Joyce Design have done a fantastic job on the livery and we’re delighted with the end result. 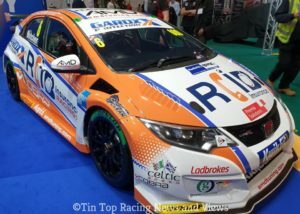 “As ever, huge thanks to Cobra Sport, RCIB Insurance and AutoAid for helping us to pull together what is the most exciting programme we have had in the BTCC – a programme we are only getting more excited about now we’ve been able to show off the liveried car in the flesh. Fans attending Autosport International can be in with a chance of wining RCIB Insurance and AutoAid team shirts by posting photos of themselves on social media with the new-look Honda.